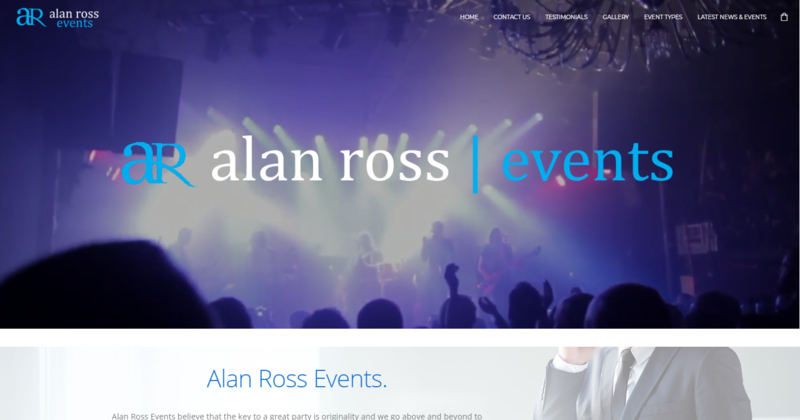 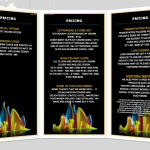 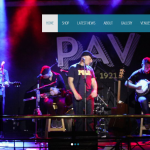 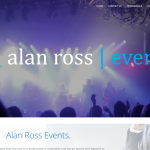 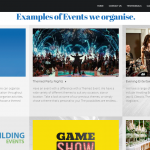 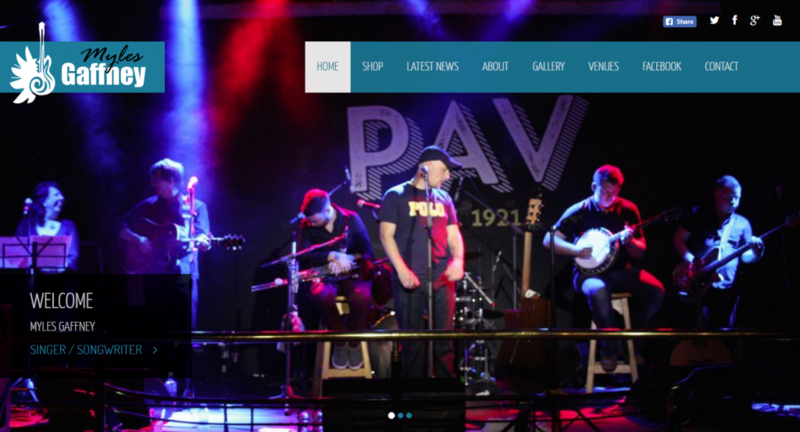 An Events Management company based in Ballincollig needed a brand portfolio website to showcase their services and events. 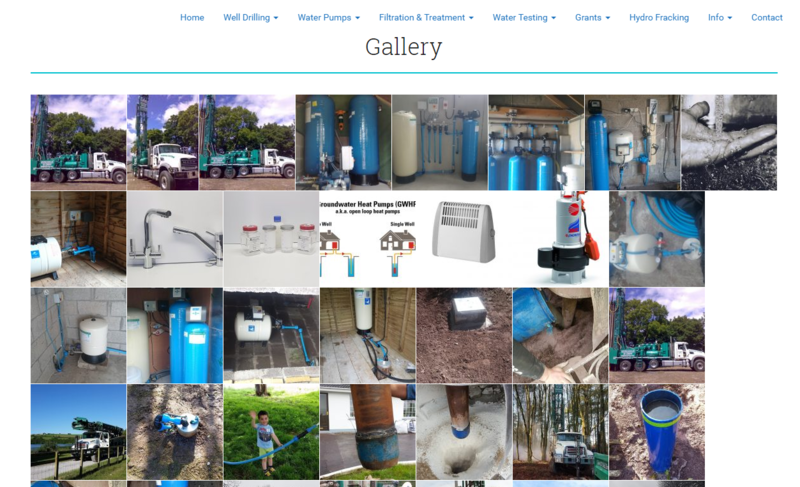 The website is uses Wordpress Content Management System which allows the company's staff update events, offers and gallery images. 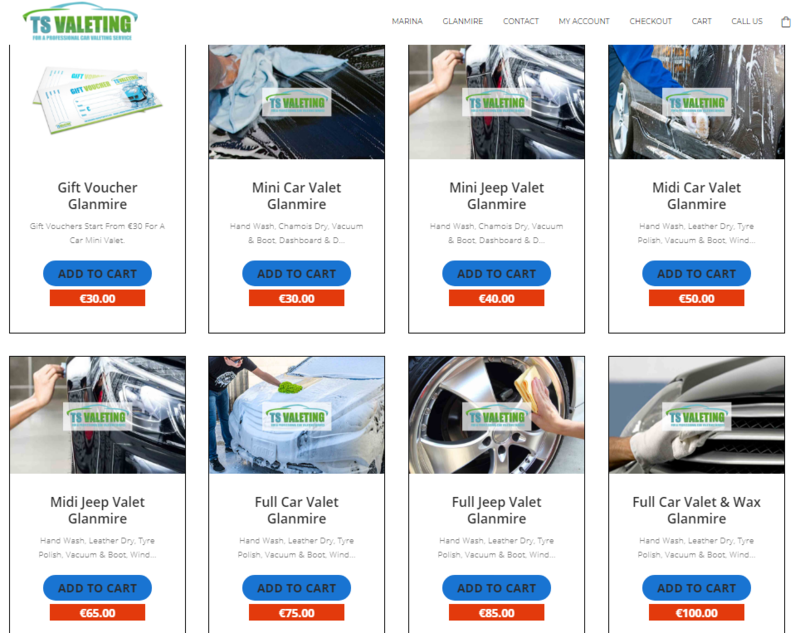 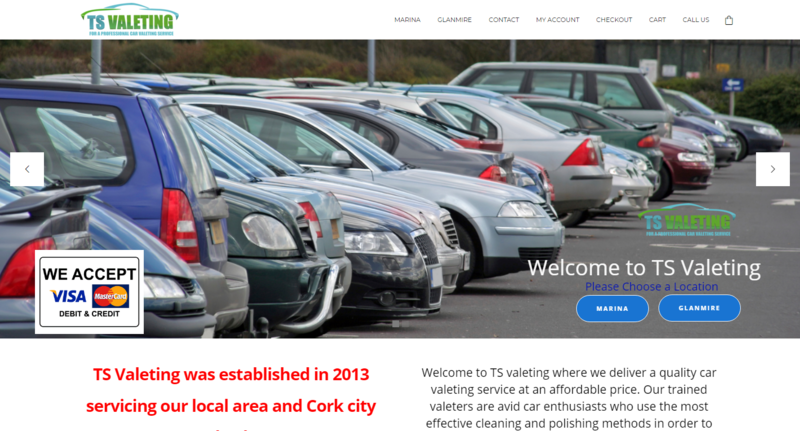 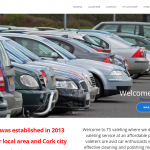 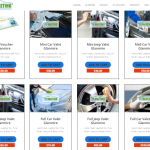 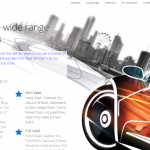 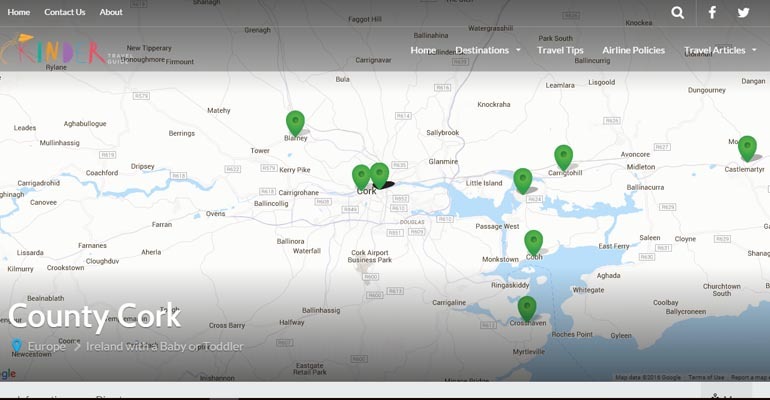 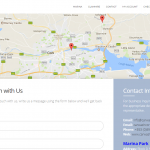 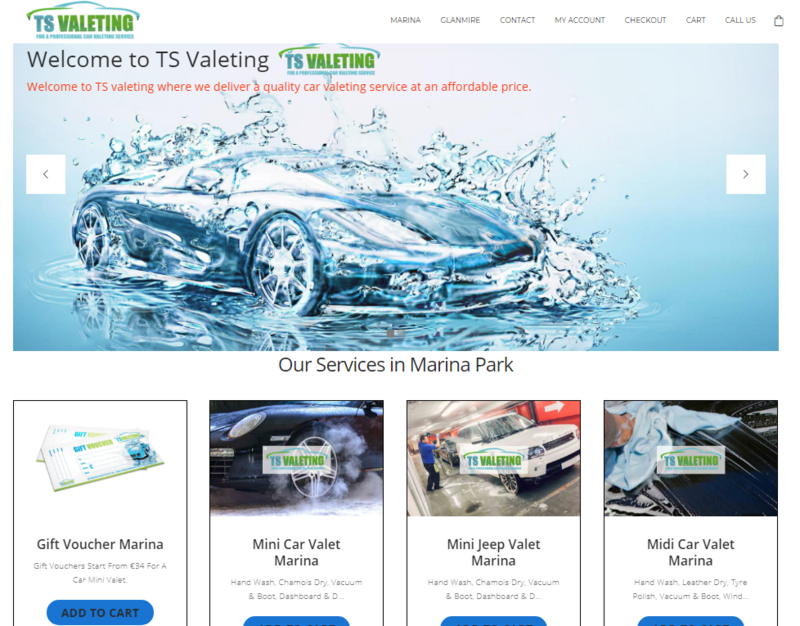 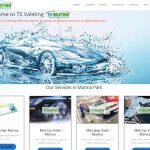 Trading as carwashcork, TS Valeting Services needed a new -e-commerce website that could accommodate products and services from both of their locations bookable separately. 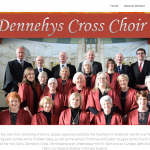 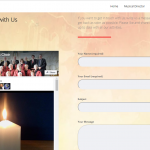 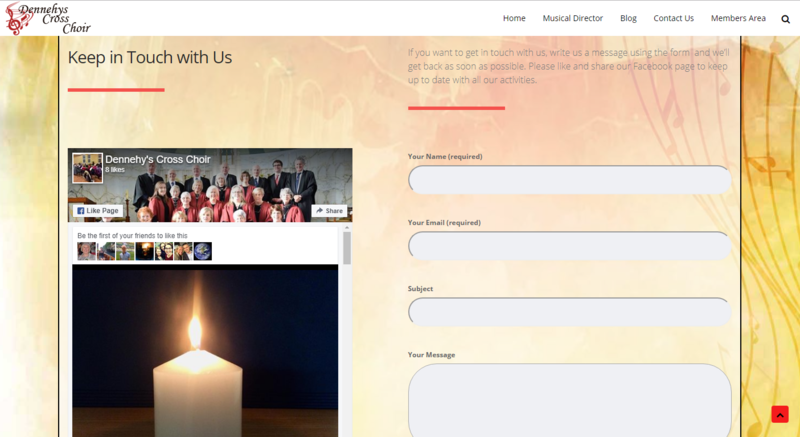 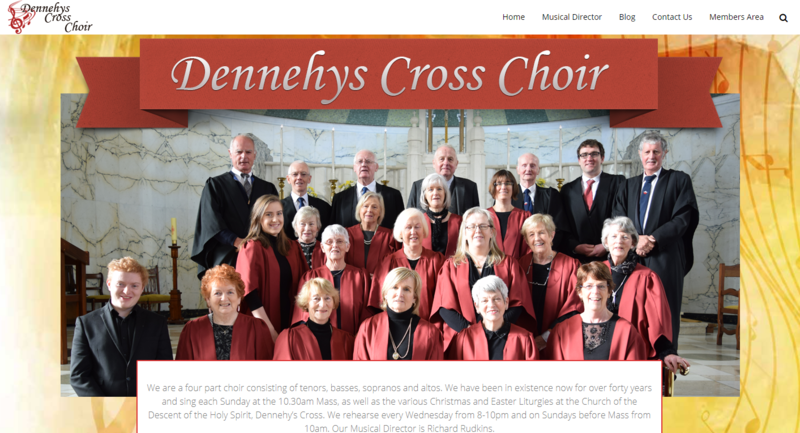 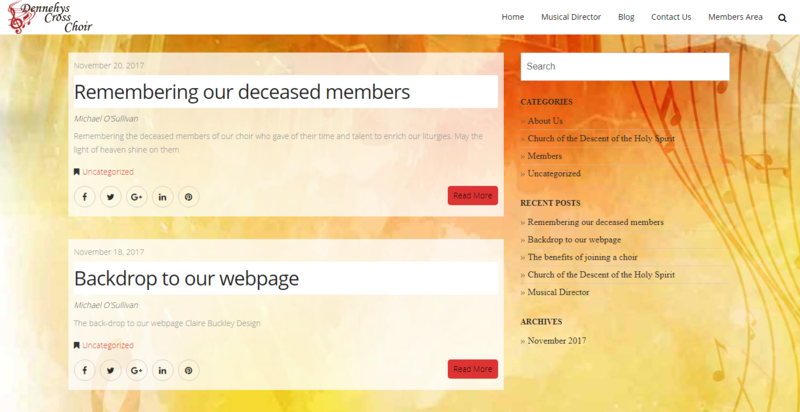 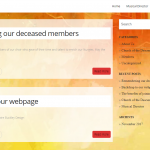 The choir required a new website with blog area that could (1) have an area accessible by the public and (2) a private password protected area containing information accessible only by choir members. 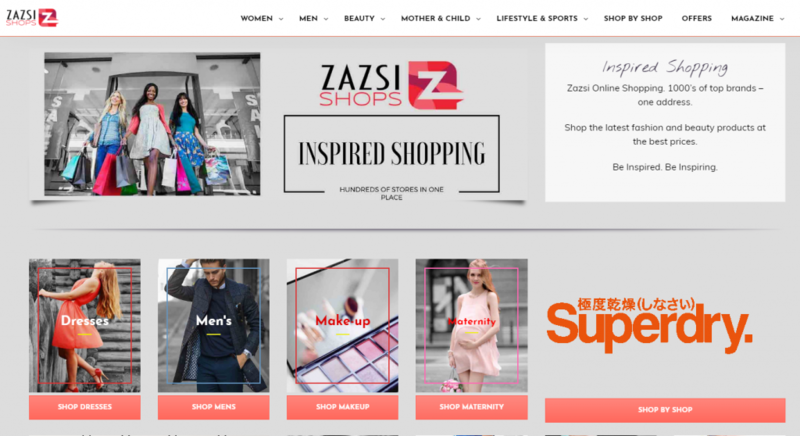 The Zazsi Shops & Interactive Magazine. 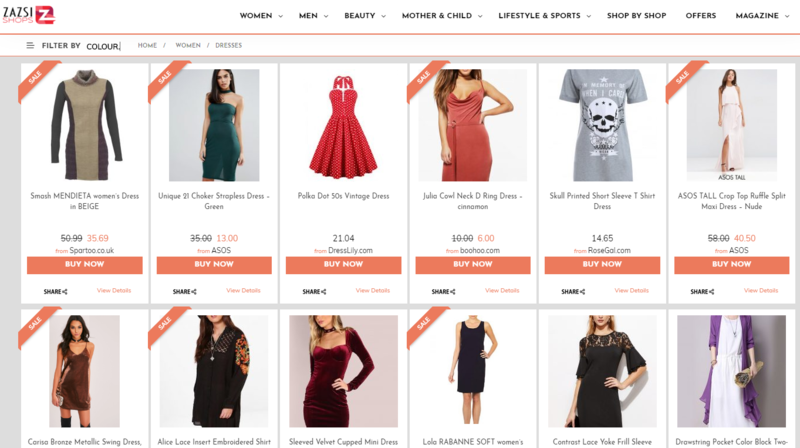 Inspired Online Shopping. 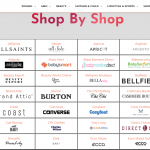 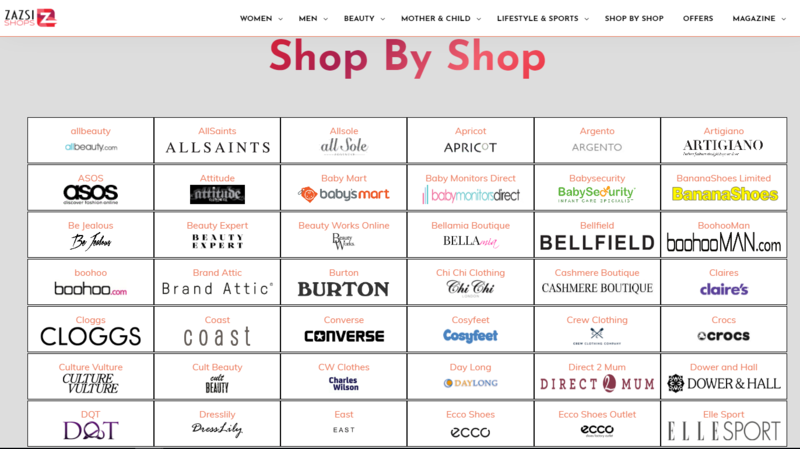 1000’s of top brands – one address. 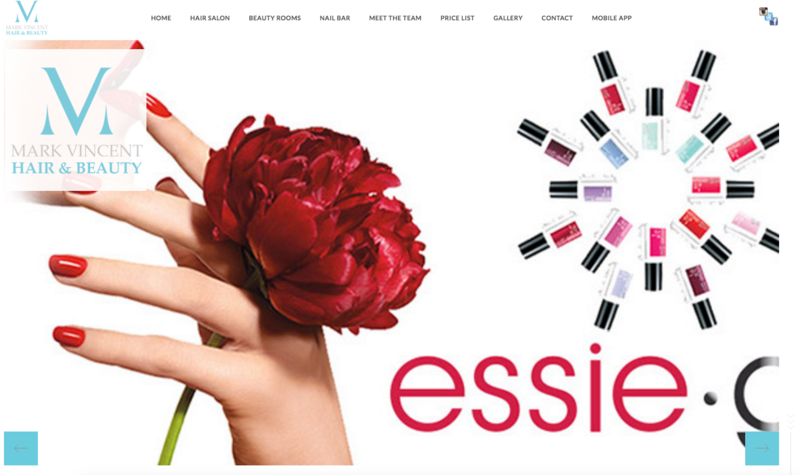 Shop the latest fashion and beauty products at the best prices. 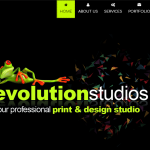 Evolution Studios, a Print & Design company based in Ballincollig, Cork needed a new modern website representing their brand image. 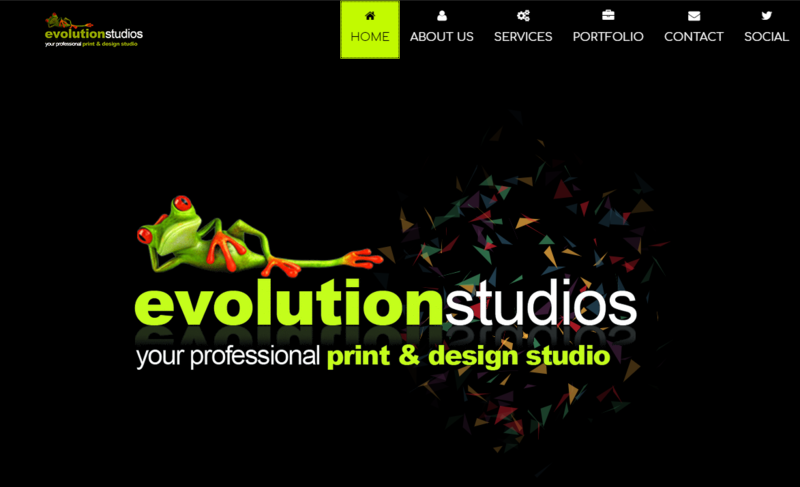 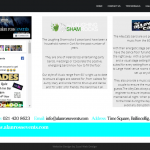 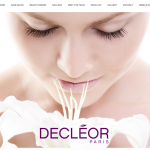 We designed their website with modern lively colours & theme, animation - all mobile responsive. 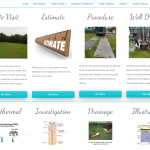 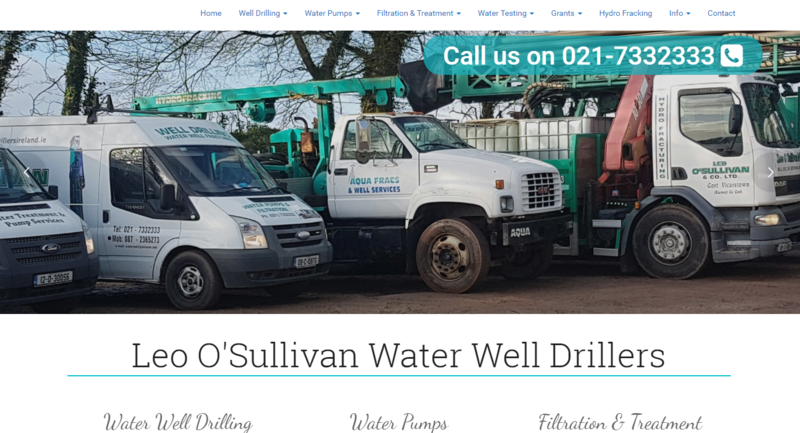 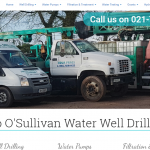 Leo O’Sullivan Water Well Drillers are an established family run business for the last 40yrs in Water Well Drilling, Pump Installation, and Water Treatment. 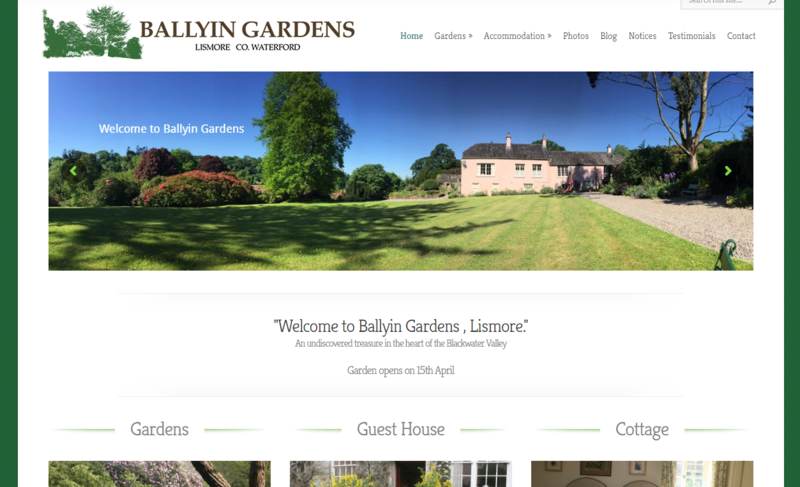 An undiscovered treasure in the heart of the Blackwater Valley. 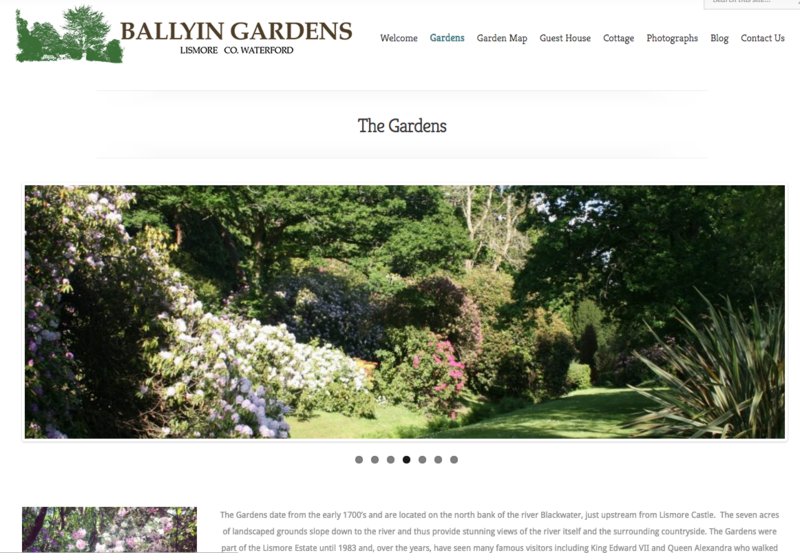 This site was designed to showcase the extensive historic house and gardens. 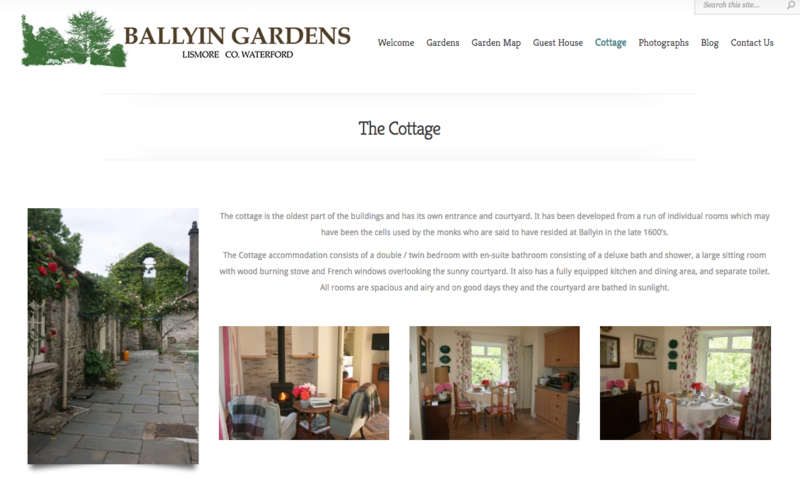 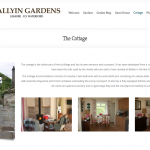 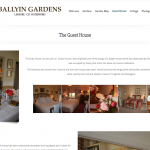 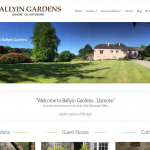 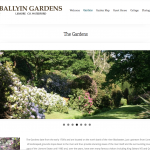 The design shows off Ballyin Gardens by blending beautiful images with sleek contemporary design. 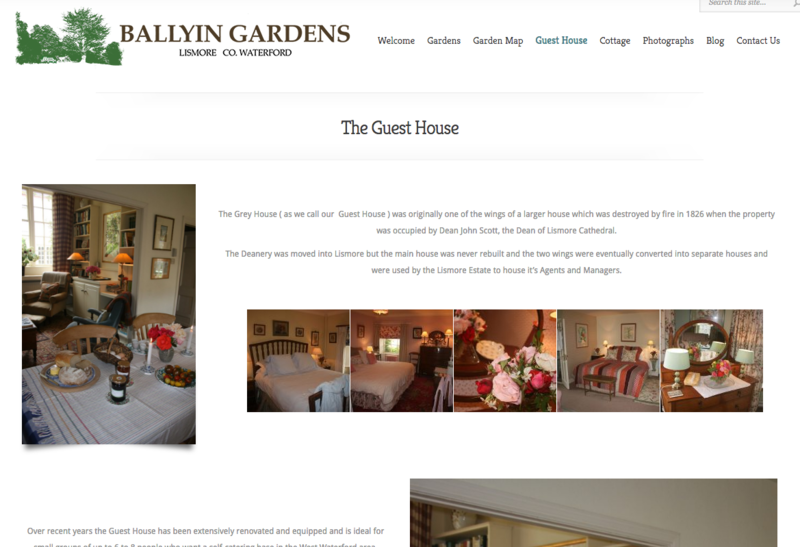 We work closely with the owners to ensure we capture the essence of the estate's beauty. 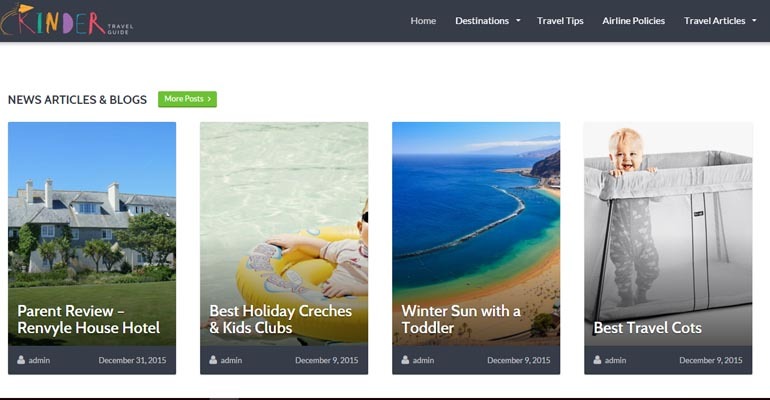 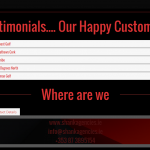 The owners update clients and the public of events and seasonal changes through publication of images and content within the built in blog. 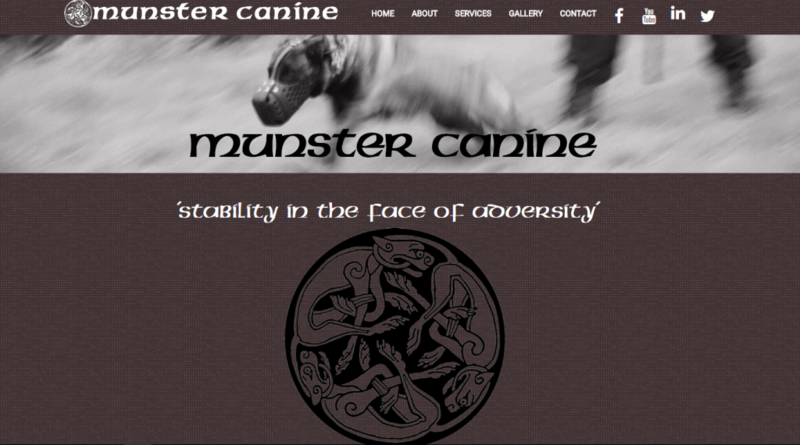 This means there is limited maintenance required and the owners have a means to update the site quickly themselves. 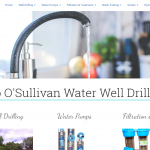 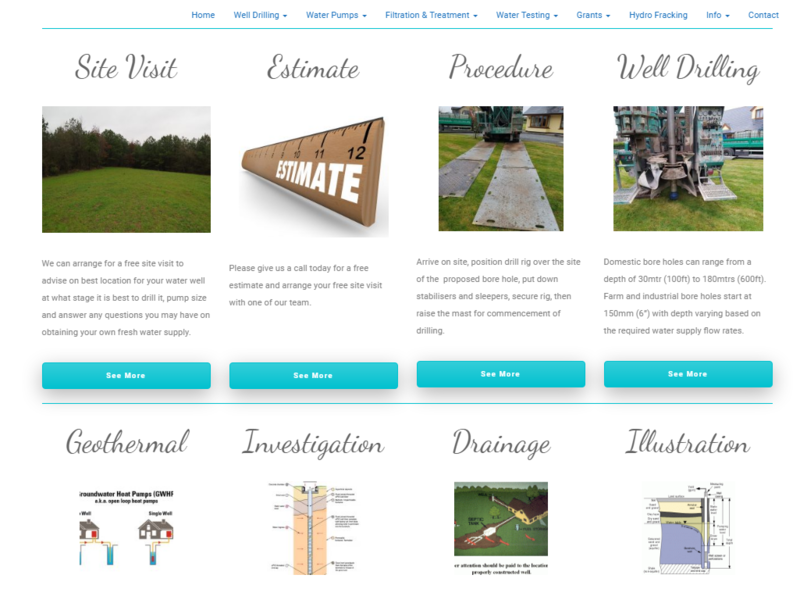 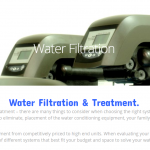 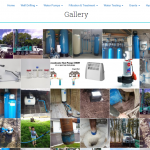 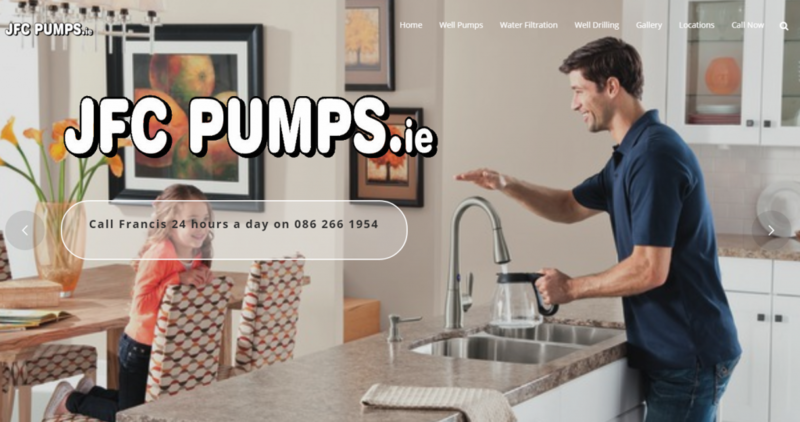 JFCPumps.ie, specialists in Water Pumps, Water Filtration & Well Drilling, needed a new modern website, with content management system, that was in line with their new brand image. 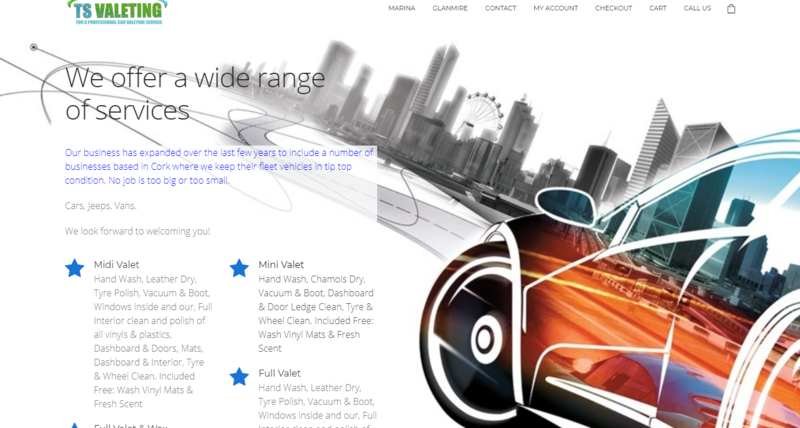 Zazsi designed a new look for their website with modern lively colours & theme, animation, and all mobile responsive. 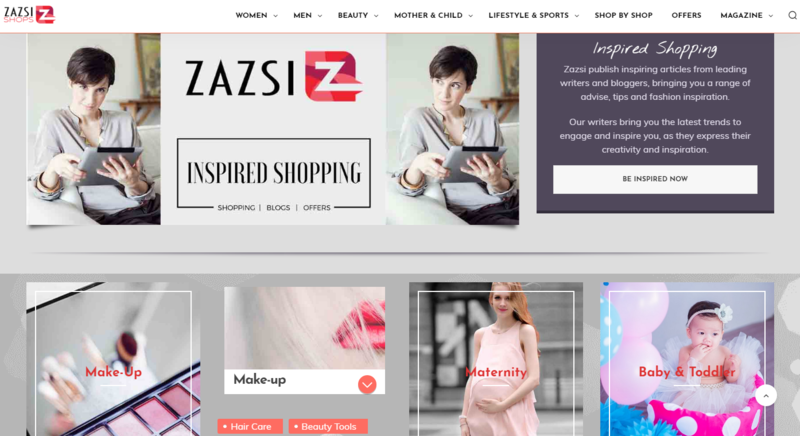 The website operates within Zazsi's own content management system allowing easy, secure access for staff to update content as required. 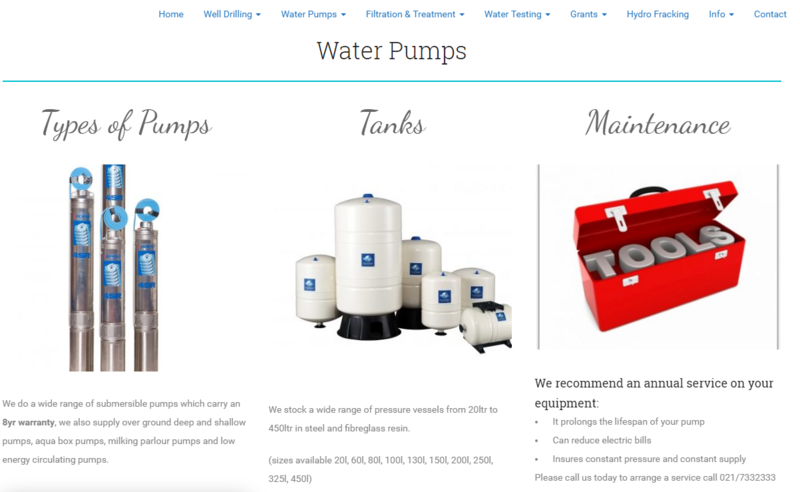 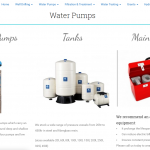 Zazsi work with JFCPumps extensively on an ongoing basis with their Search Engine Optimisation delivering high ranking page results and driving new customers to the site. 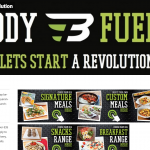 Bodyfuelz was established in October 2015 At Barry’s Daybreak Inniscarra in an effort to create a meal management company that health enthusiasts, high performance athletes or just the person that wants to eat healthy and clean, can fully rely on 100%. 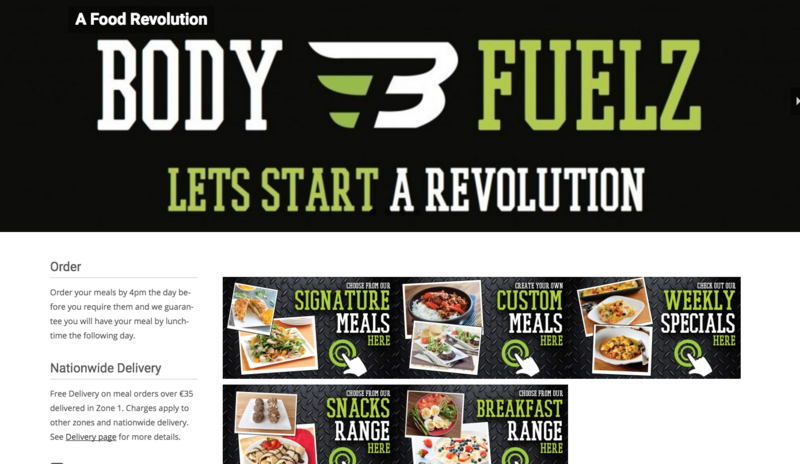 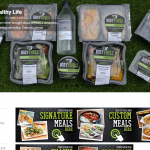 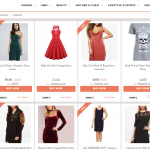 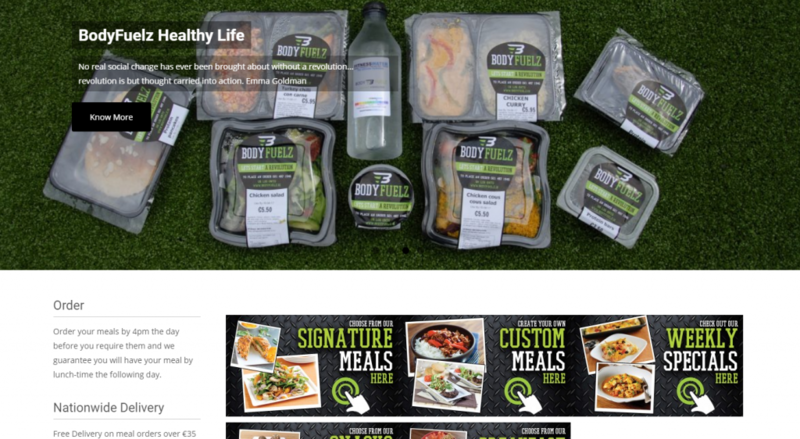 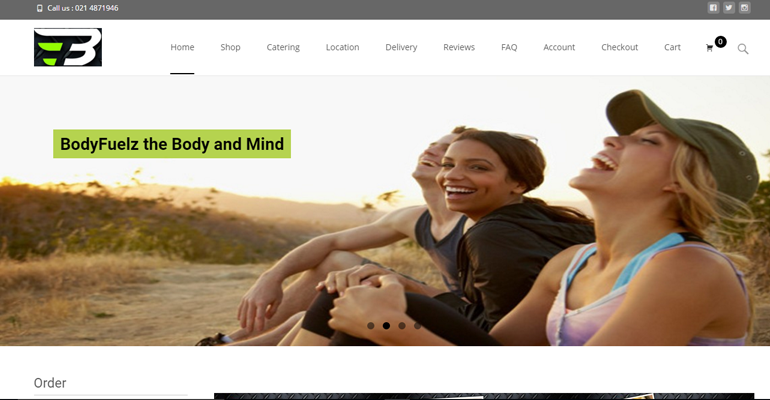 Bodyfuelz needed an e-commerce website that facilitated variable product ordering; nationwide delivery costing system, a content management system to allow staff to update products and prices and credit card integration. 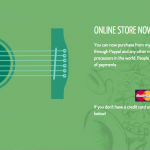 The e-commerce site allows customer pay online or arrange for payment on collection at the shop. 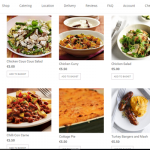 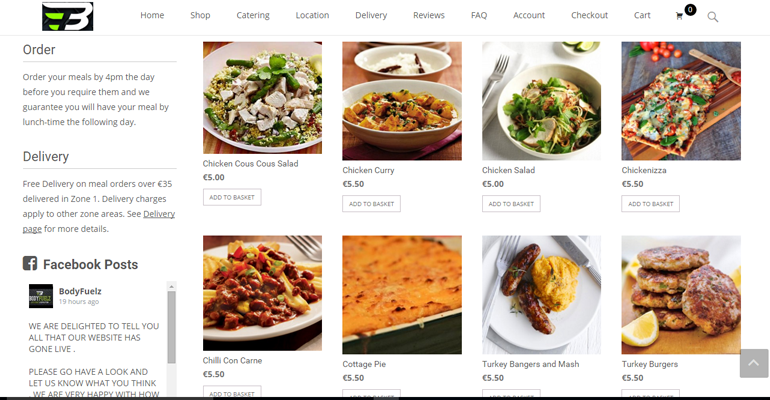 The site also needed to be highly mobile responsive as people are ordering food on the go more and more. 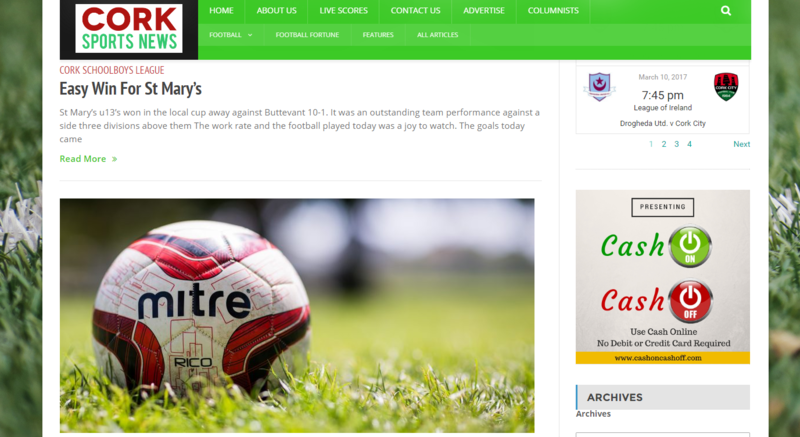 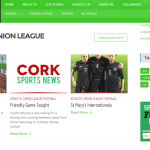 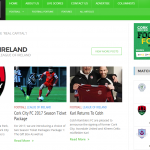 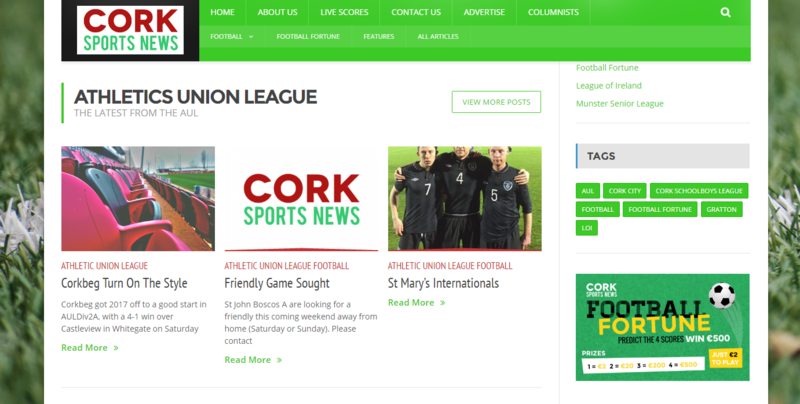 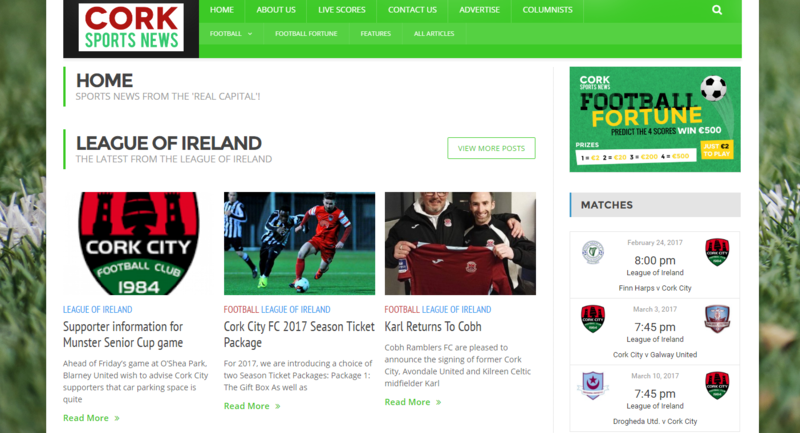 Cork Sports News is a sports based website set up to serve all levels of football in Cork. 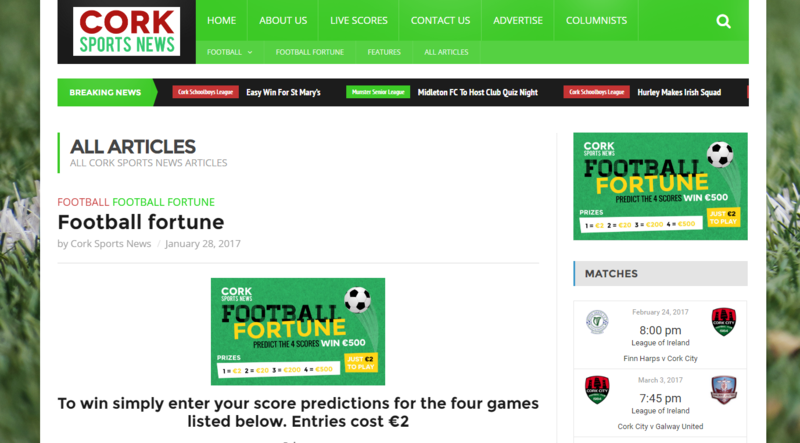 Then owners required a dynamic website with content management system, live score feed, guest columnist article area, an integrated payment system for members to enter (and get paid winnings) in their own Football Focus competition. 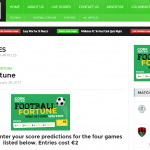 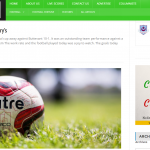 The site needed to be designed to allow very frequent updates of information, live scores and results, articles and images from around Cork. 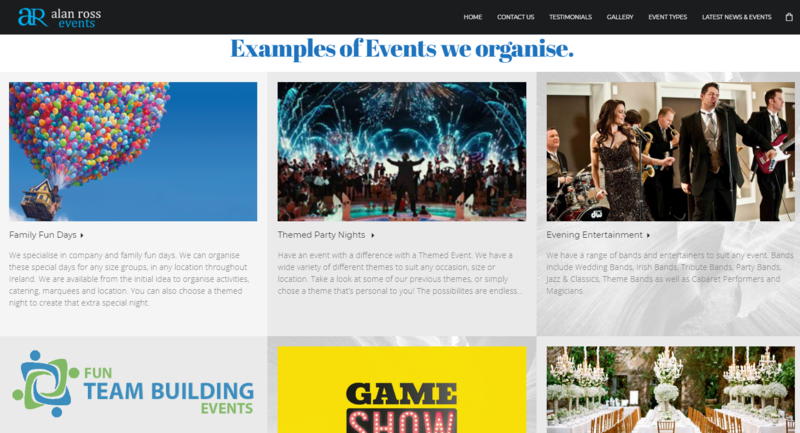 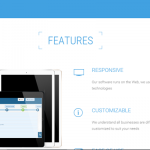 Zazsi Web Design built the site to include all the above, and all mobile responsive. 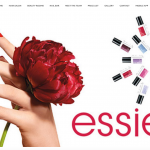 Mark Vincent Hair and Beauty is the only exclusively L'Oreal salon in Munster working work with prestigious products L'Oreal Professionel, Serie Expert and Kerastase for hair care, Decleor for skincare and Essie at their Nail Bar. 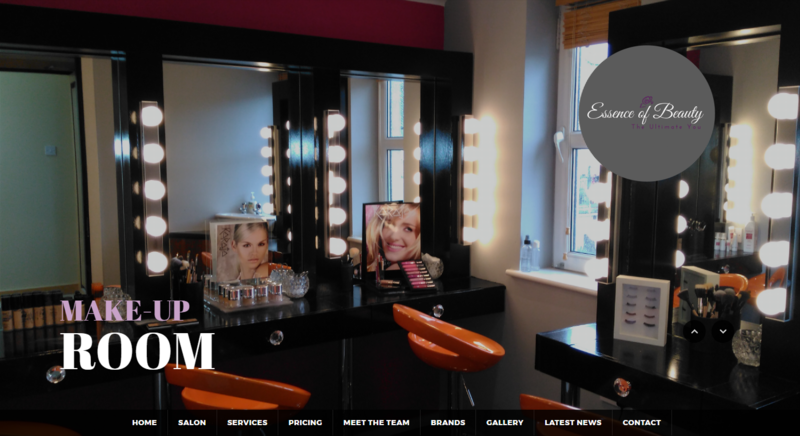 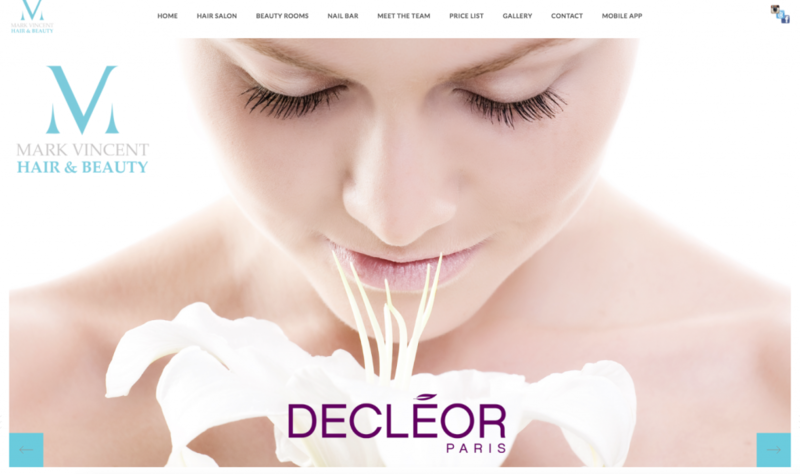 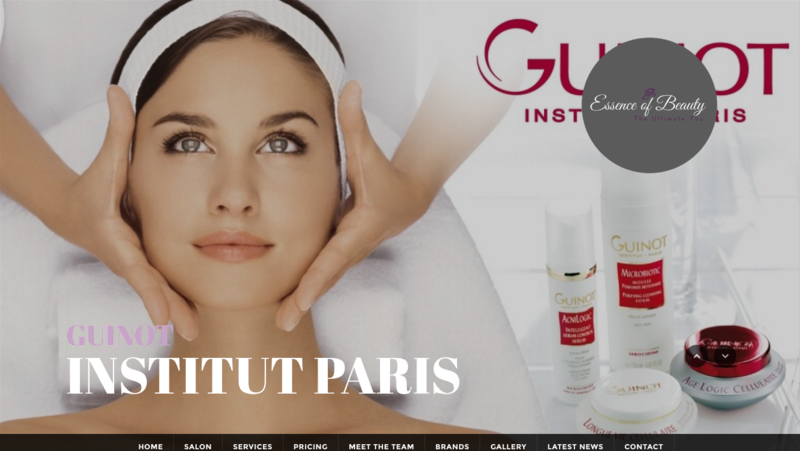 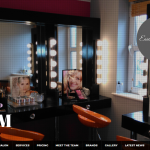 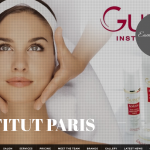 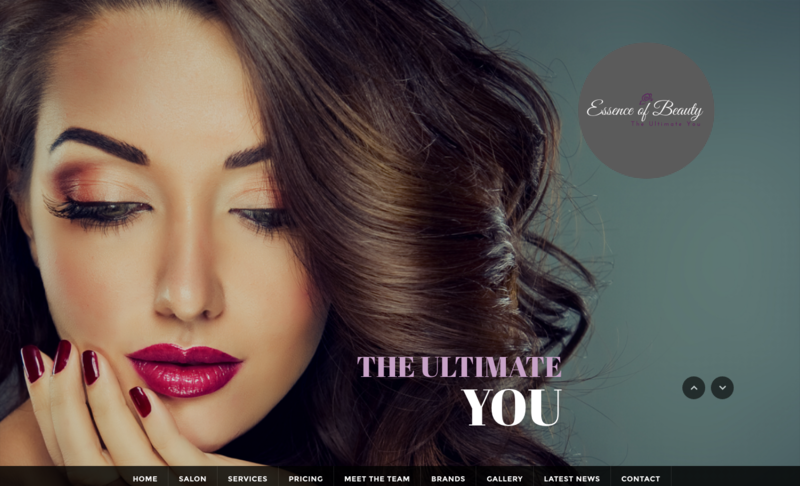 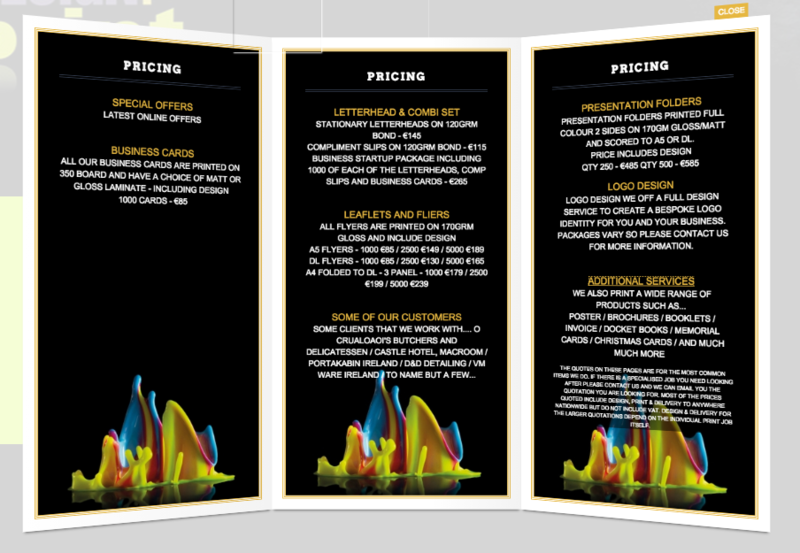 The salon requires an exclusive website design and Zazsi delivered this using sliders and flexible & intuitive features. 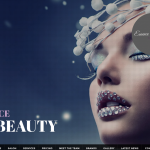 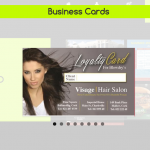 This image intensive website uses smart galleries and background slideshows to highlight beautiful hair and nails. 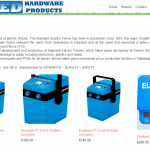 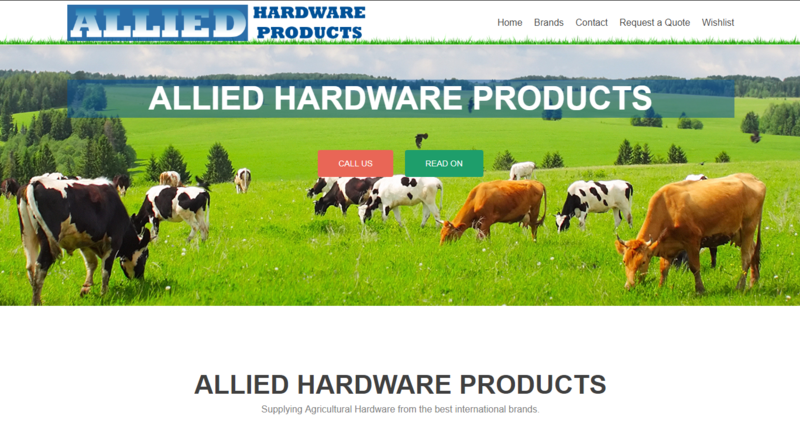 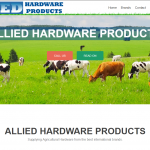 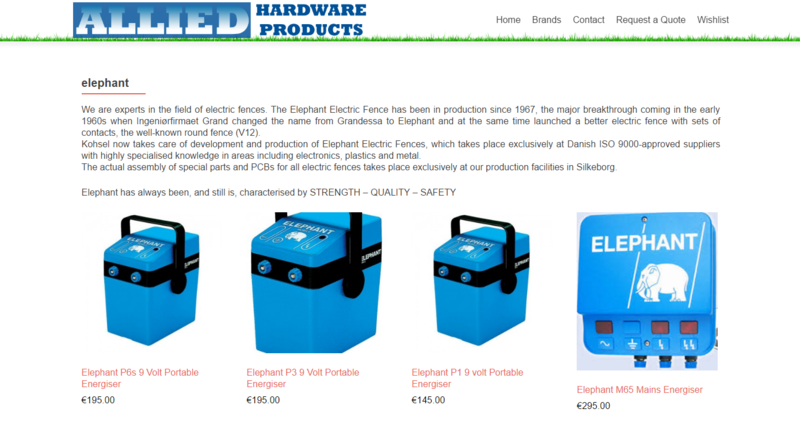 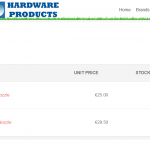 Allied Hardware Products are Agri Hardware suppliers in Cork and needed a website with Request a Quote and Wishlist functionality within a shopping cart, but with no online purchasing functionality. 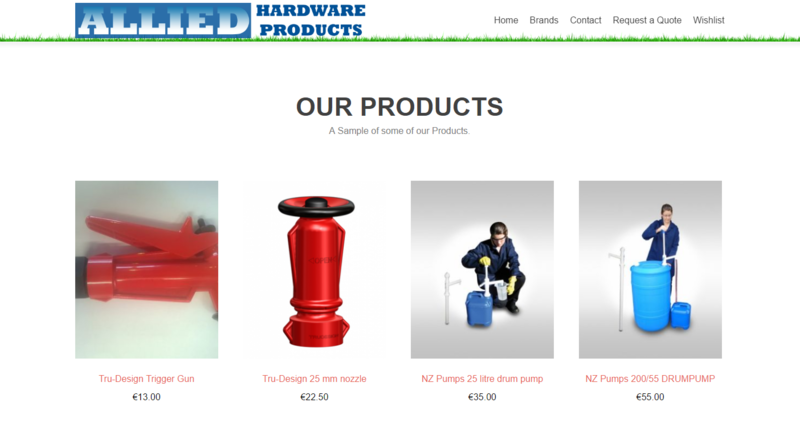 We created their new website showcasing products from 5 suppliers collectively and individually by brand. 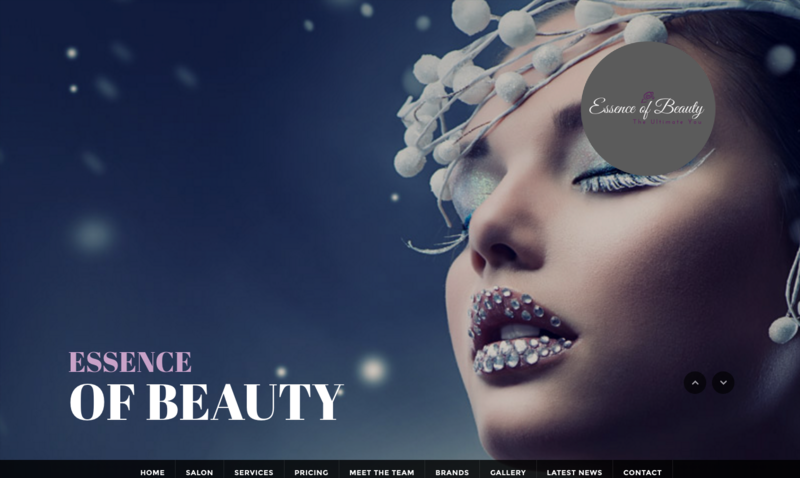 Essence of Beauty thrives on providing a professional, relaxing and friendly atmosphere, using the very best beauty products available on the market. 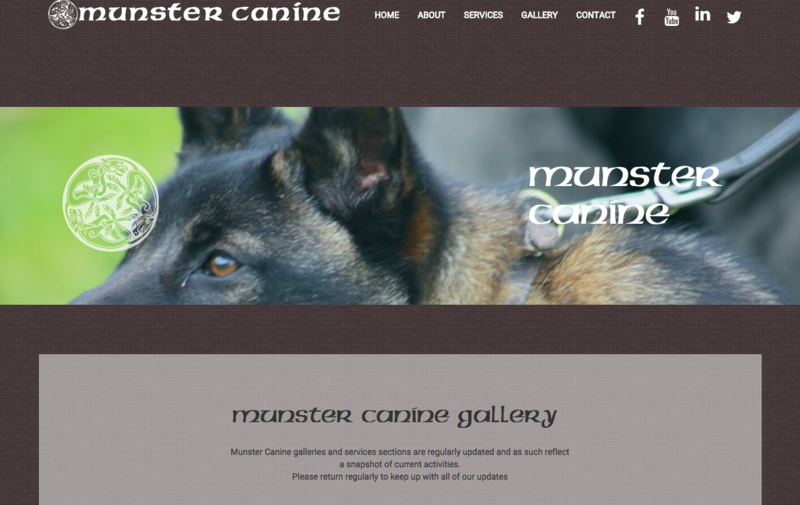 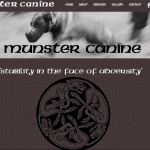 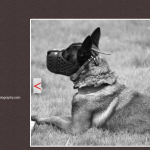 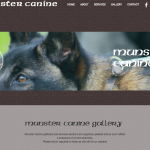 Munster Canine is a specialised dog training company who needed a website developed to include video footage of dogs being trained for special tasks. 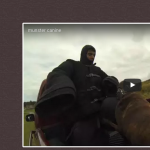 Zazsi worked in the recording of the film, and then edited the footage and sound track. 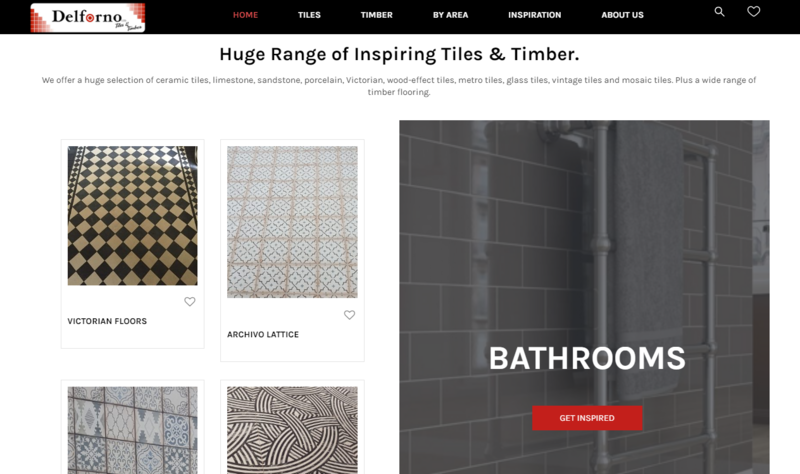 Having delivered the completed film, we designed and developed the company's website to incorporate the final film, which was also uploaded to various online sources and social media. 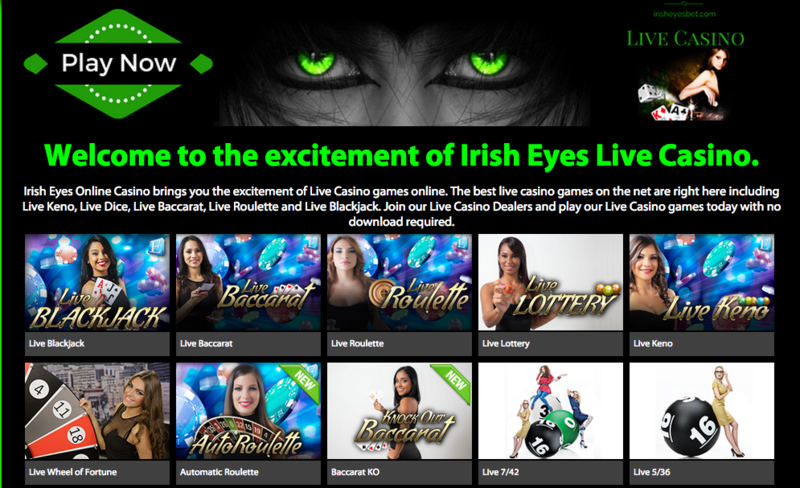 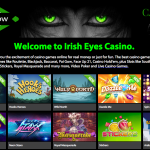 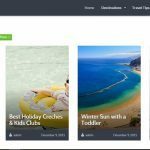 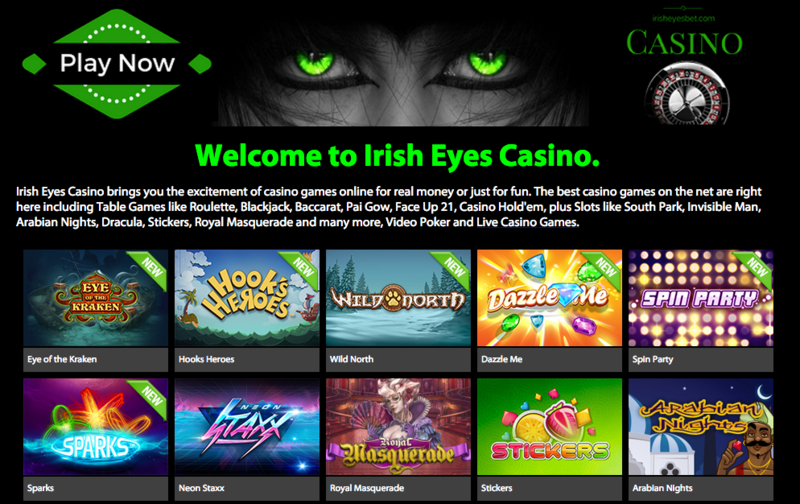 Irish Eyes Bet is an established online gaming site which needed a rebrand and an additional e-commerce solution all built within a content management system. 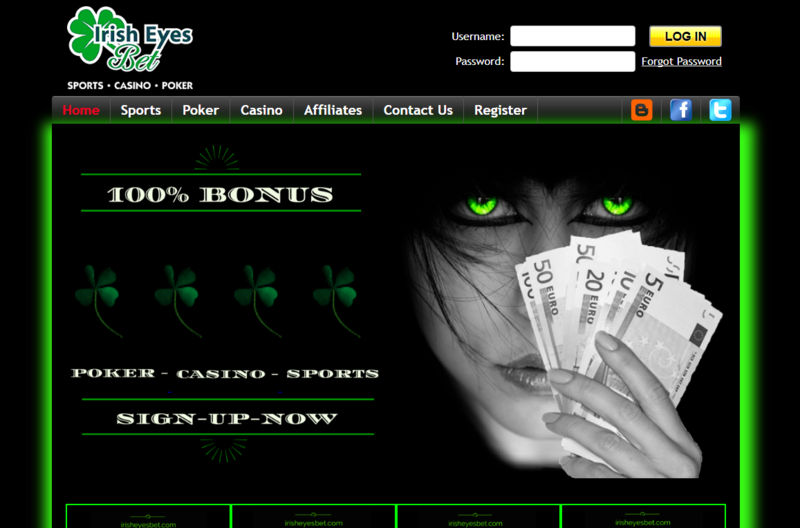 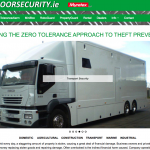 Irish Eyes Bet have 1000's of members who's personal details are very sensitive. 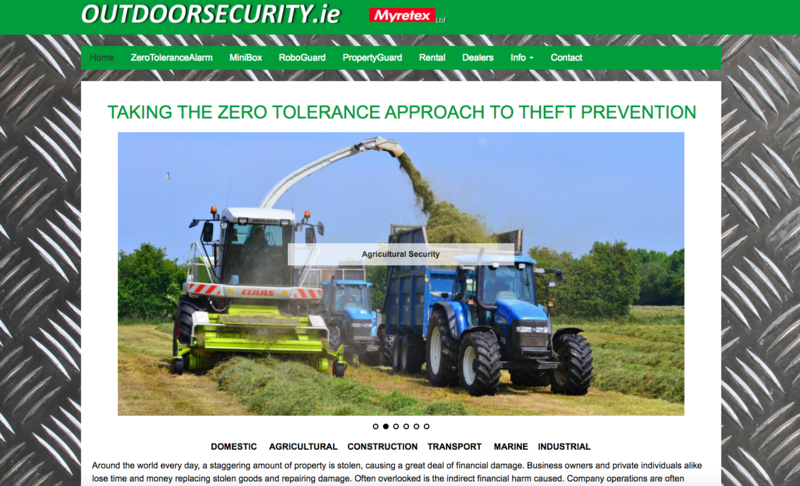 Security was a big issue for the company. 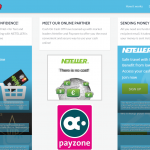 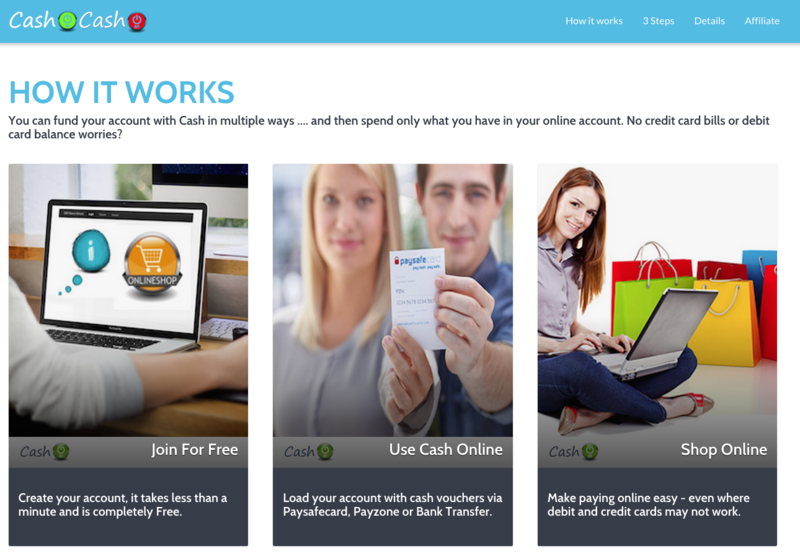 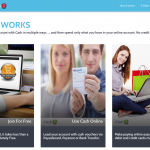 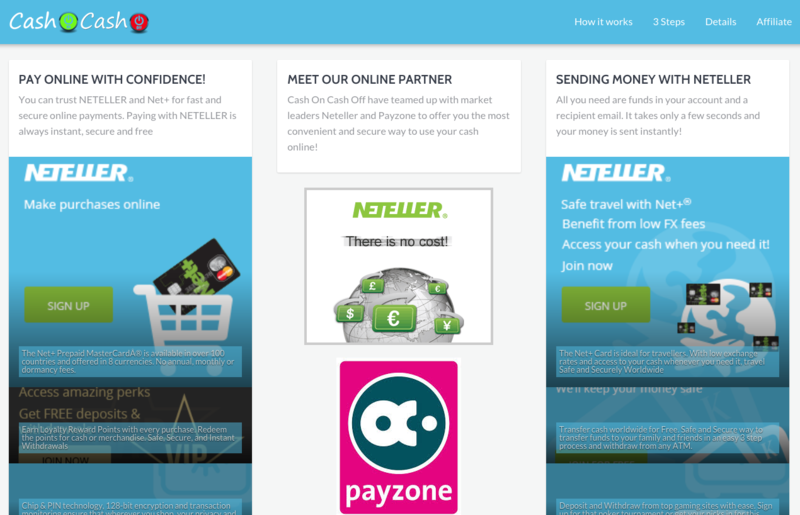 Cashoncashoff.com is a pre-paid Mastercard solution to online shopping. 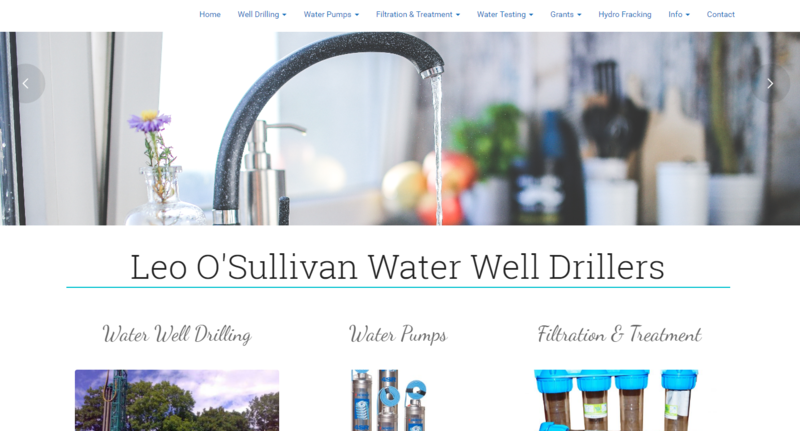 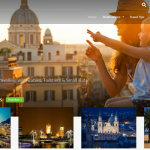 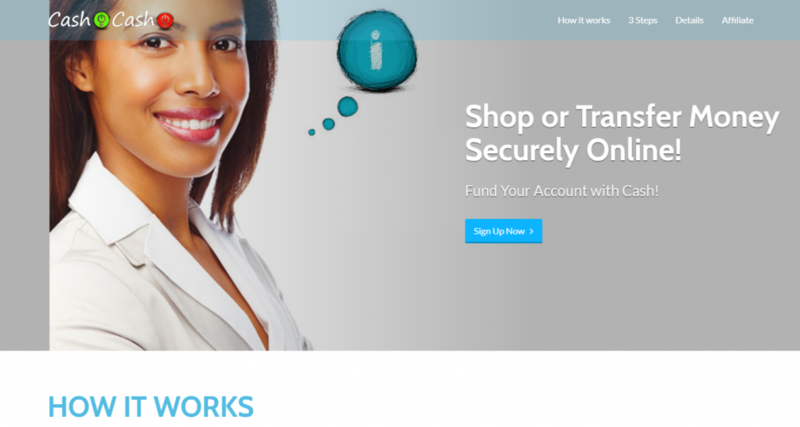 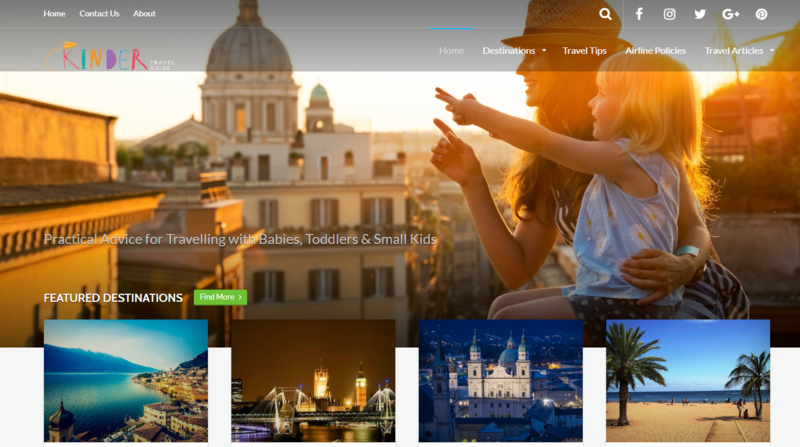 The company needed a bright new website design, with integrated affiliate system, that portrayed their brand and clearly outlined their product. 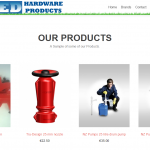 We designed a bespoke, mobile responsive, modern website which clearly illustrates their product in an aesthetically pleasing manner. 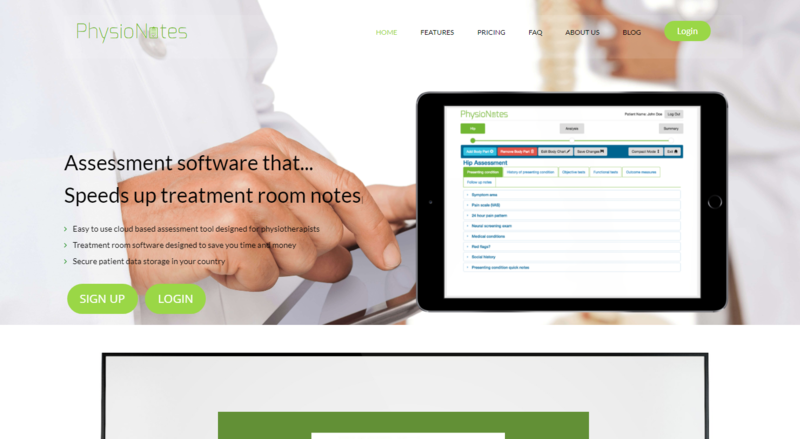 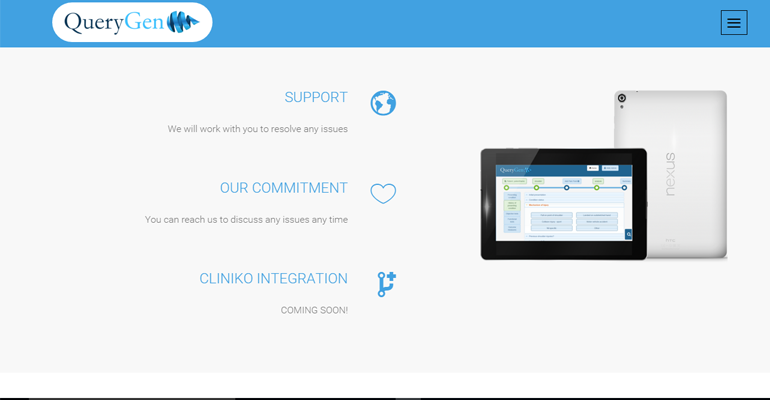 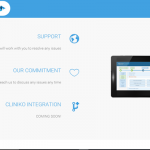 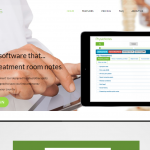 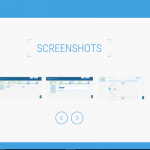 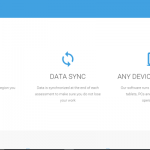 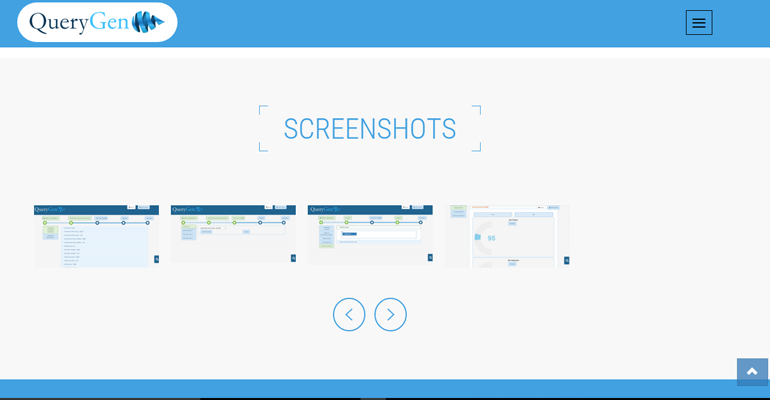 QueryGen provide clinical note taking software for physiotherapists offering comprehensive assessment software that takes away the pain of note taking, giving more time for patient care. 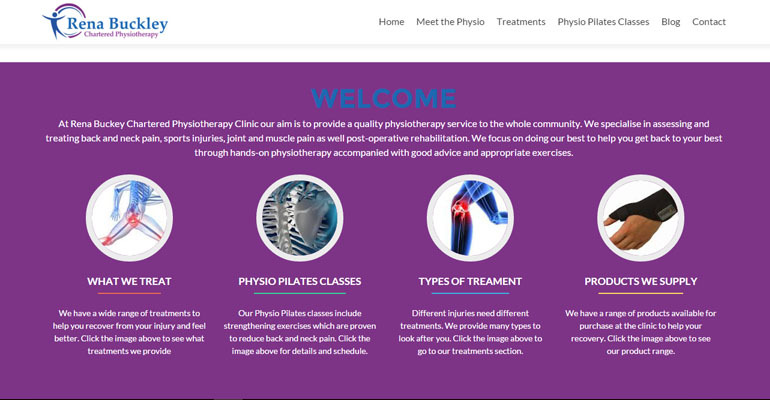 QueryGen needed a mobile responsive website design that conveyed their product and brand clearly to professional physiotherapists and medical organisations. 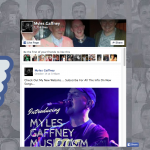 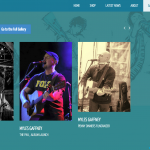 Myles Gaffney a well-known Cork singer / songwriter required a website that would allow him to promote and sell his songs to his growing worldwide audience. 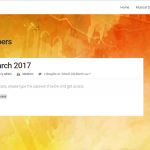 Myles also required a blog so he could update tour dates and news for fans himself. 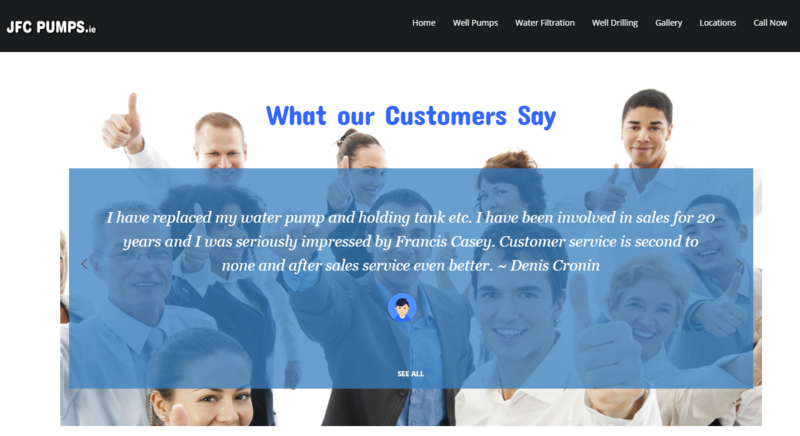 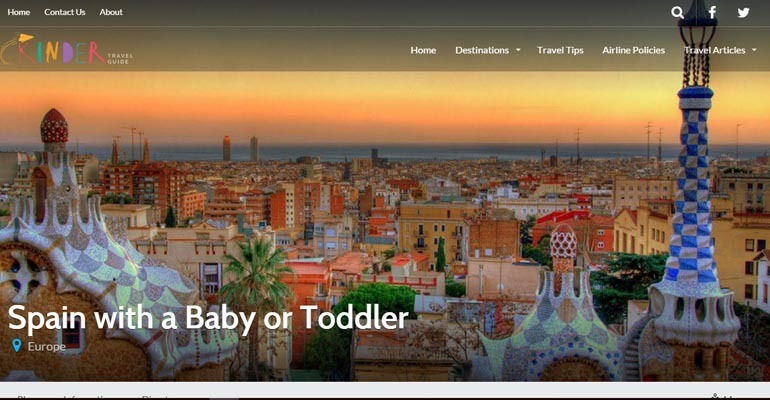 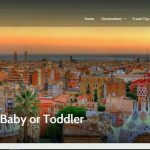 Zazsi built a bespoke website designed within content management system which allows Myles to update the site regularly. 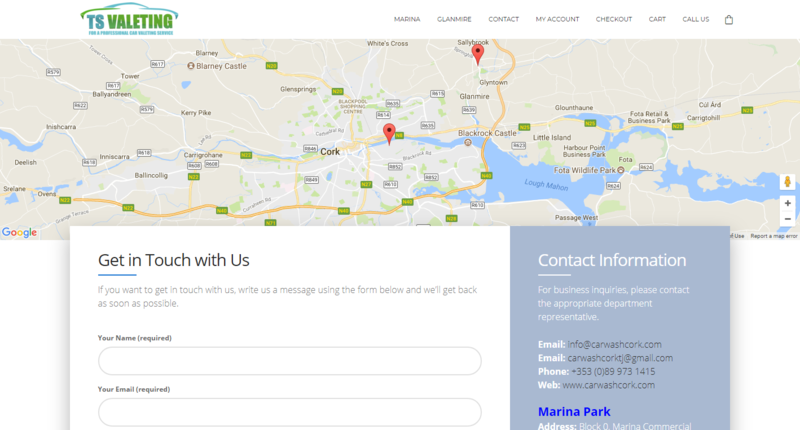 The site also includes an e-commerce system through which Myles can sell his singles and albums (a wellknown singer / songwriter from Cork required a website that would allow him to promote and sell his songs (either physical purchases or downloads), as well as update tour dates and news for fans. 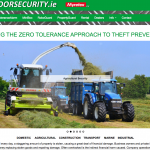 Imadept delivered a bespoke website design with content management system which allows Myles to update news of tour dates and new songs, plus an e-commerce platform through which Myles can sell his singles and albums a wellknown singer / songwriter from Cork required a website that would allow him to promote and sell his songs (either physical purchases or downloads), as well as update tour dates and news for fans. 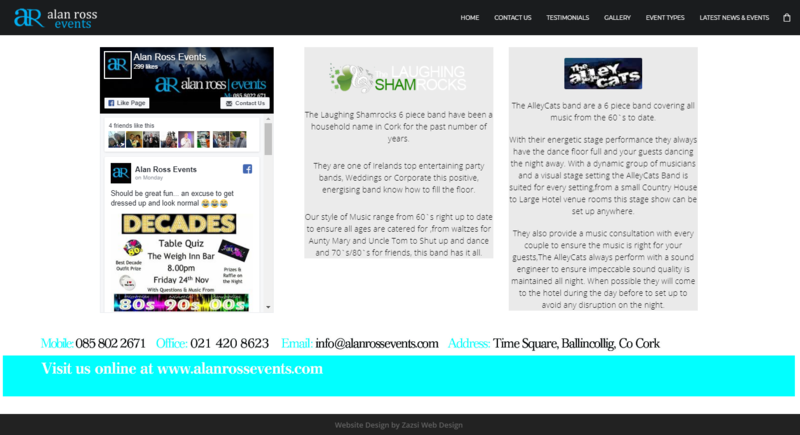 Imadept delivered a bespoke website design with content management system which allows Myles to update news of tour dates and new songs, plus an e-commerce platform through which Myles can sell his singles and albums.a wellknown singer / songwriter from Cork required a website that would allow him to promote and sell his songs (either physical purchases or downloads), as well as update tour dates and news for fans. 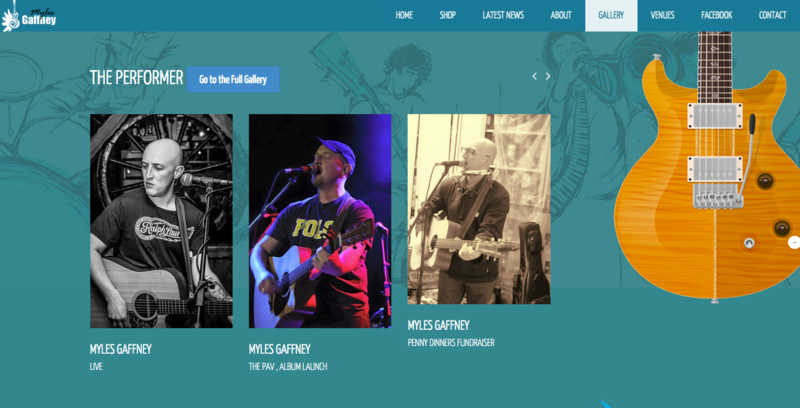 Imadept delivered a bespoke website design with content management system which allows Myles to update news of tour dates and new songs, plus an e-commerce platform through which Myles can sell his singles and albums (both physical copies and digital downloads). 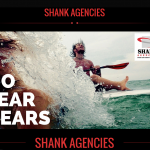 Shank Agencies is a new approach to the Sales Agent model in Ireland. 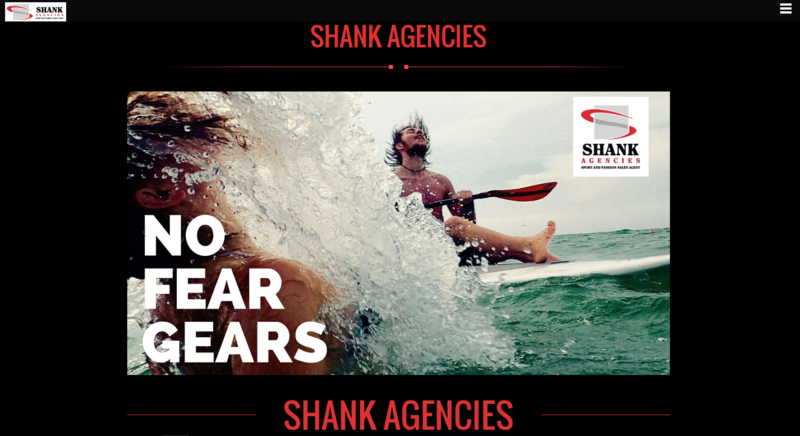 Shank Agencies' motto is "Build The Brand with the Brand". 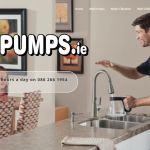 They believe it's not just about the quick sale... it’s the long term plan..... building relationships to provide growth to the supplier, provider, retailer and most importantly the consumer. 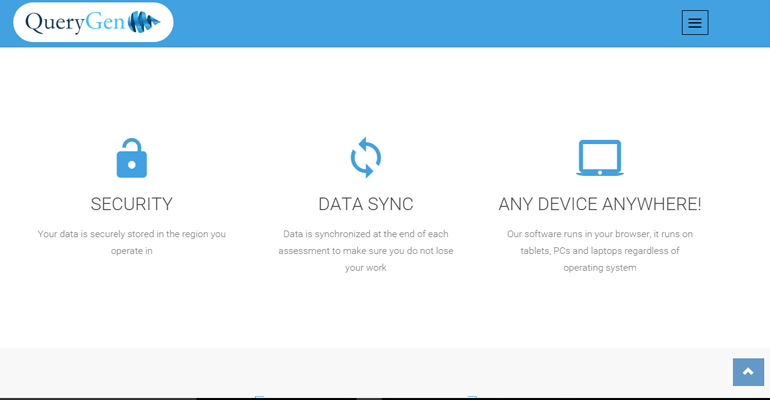 Just how Zazsi works. 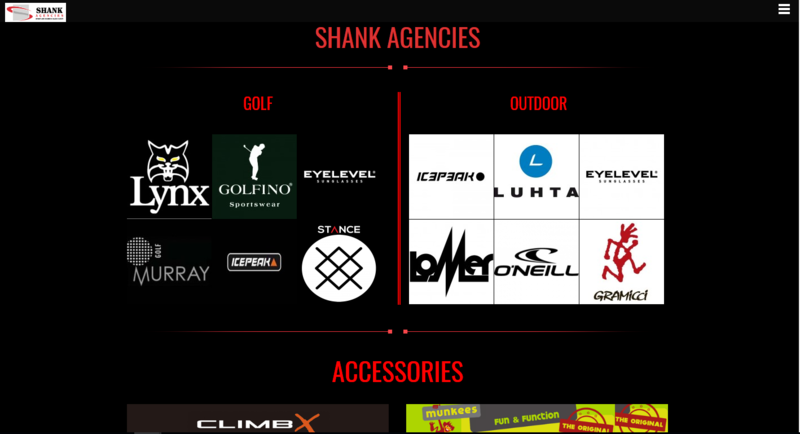 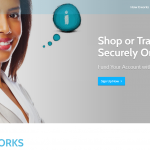 ShankAgencies needed a mobile responsive website design that conveyed their product and brand clearly to professional brands and retailers interested in selling the brands ShankAgencies represent. 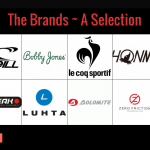 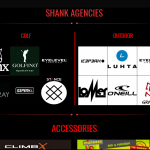 Zazsi built such a site which professionally showcases Shank Agencies brands. 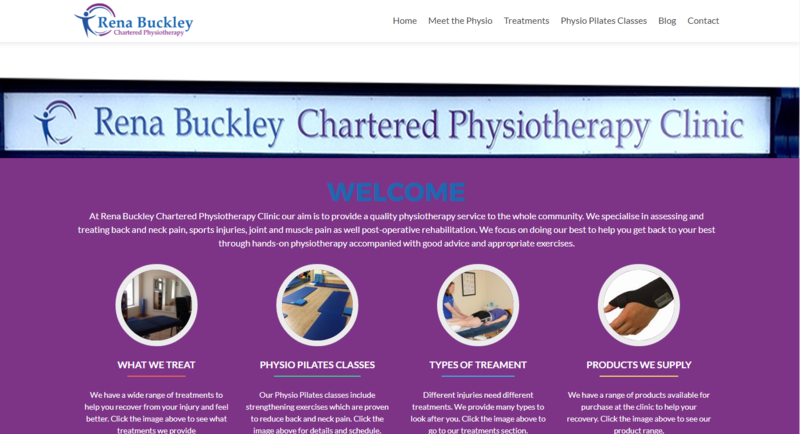 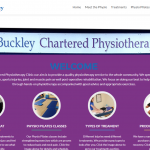 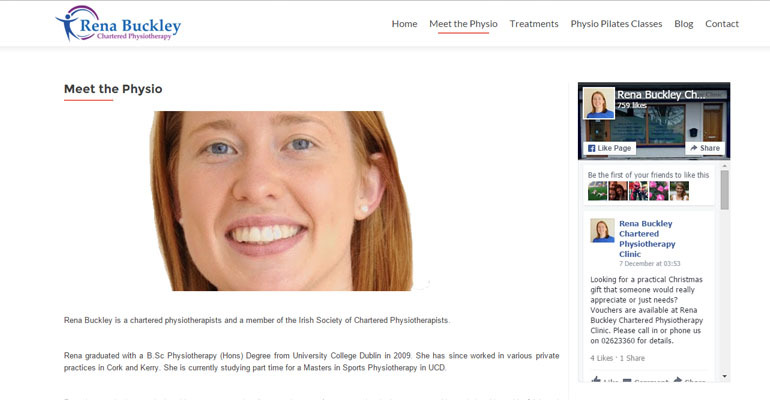 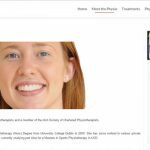 Rena Buckley Physiotherapy Macroom, needed a mobile responsive website with content management system and media gallery to highlight the range of treatments and products being offered in their clinic. 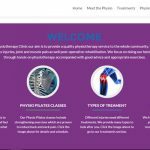 We designed Rena's new mobile responsive site using a parallax design incorporated into a Wordpress theme allowing Rena update her appointment schedule, prices, offers, advise articles and treatments easily in her own time. 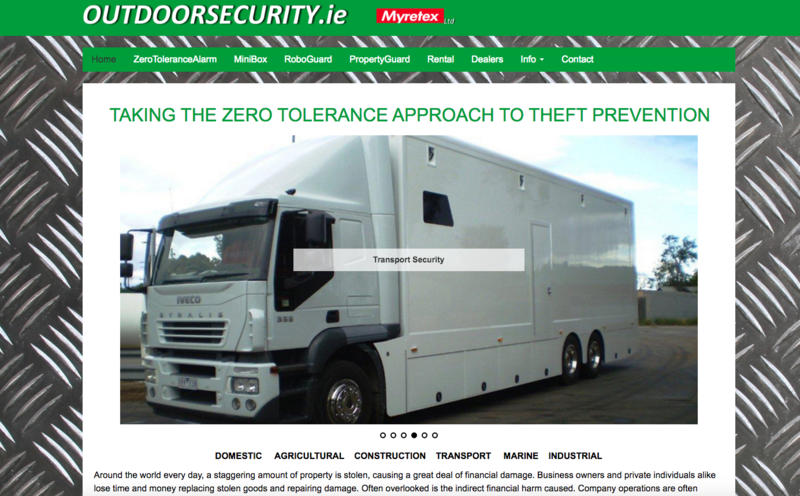 Around the world every day, a staggering amount of property is stolen, causing a great deal of financial damage. 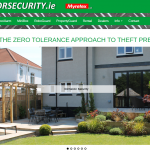 Outdoor security specialise in a wide range property protection. 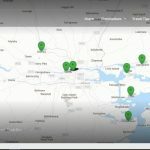 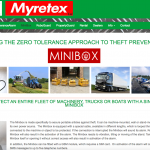 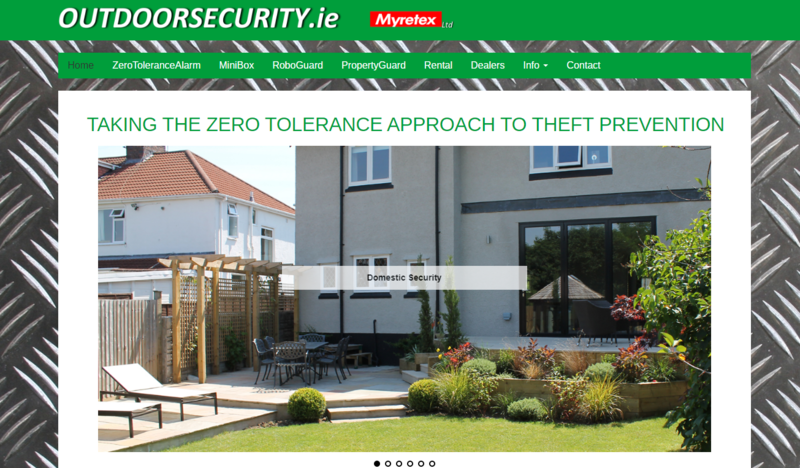 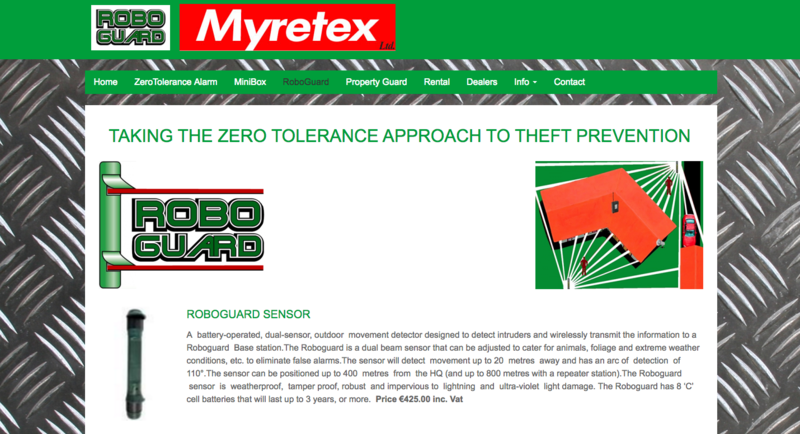 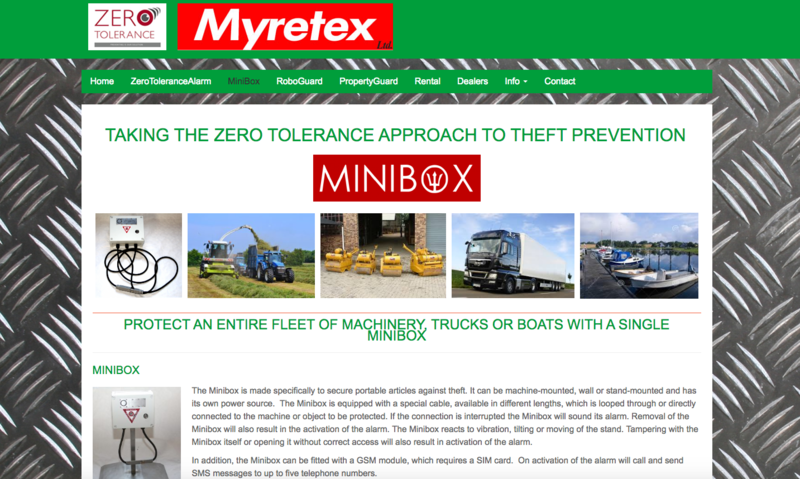 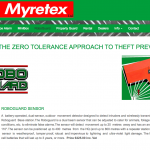 Zazsi built a number of sites for the owners that showcase different products in their security range, including RoboGuard, Minibox, PropertyGuard, & ZeroTolerance Alarm. 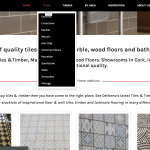 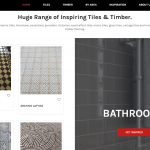 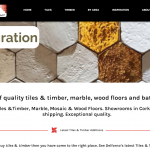 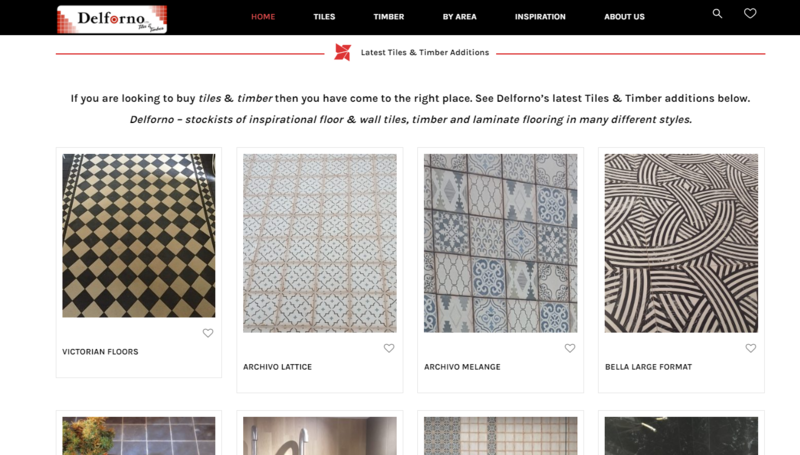 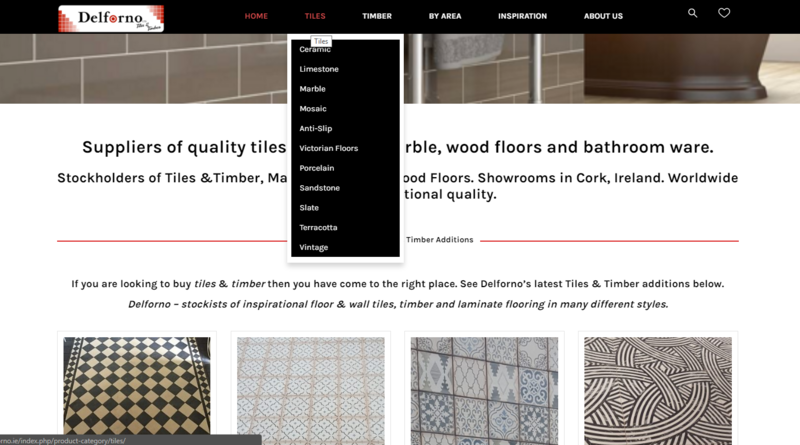 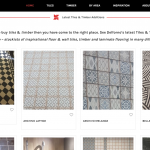 Delforno, a large toles and timber supplier needed a new modern website with a catalog showcasing their large range of products without an e-commerce platform. 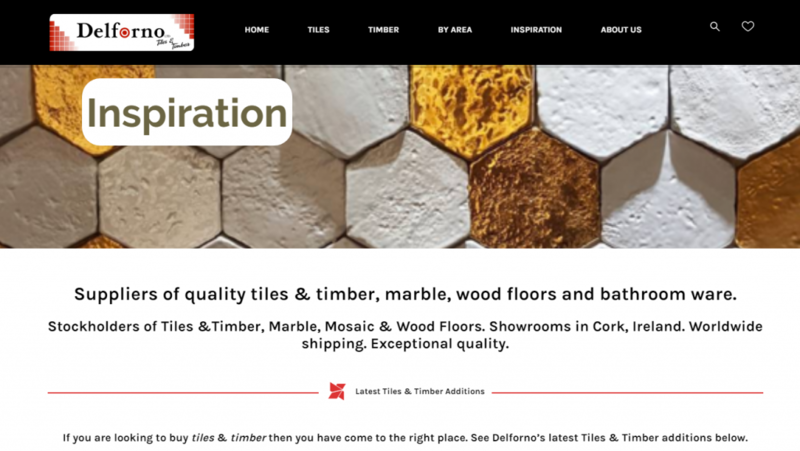 We designed their website which includes a modern mobile responsive catalog which Delforno can manage through an easy content management system.